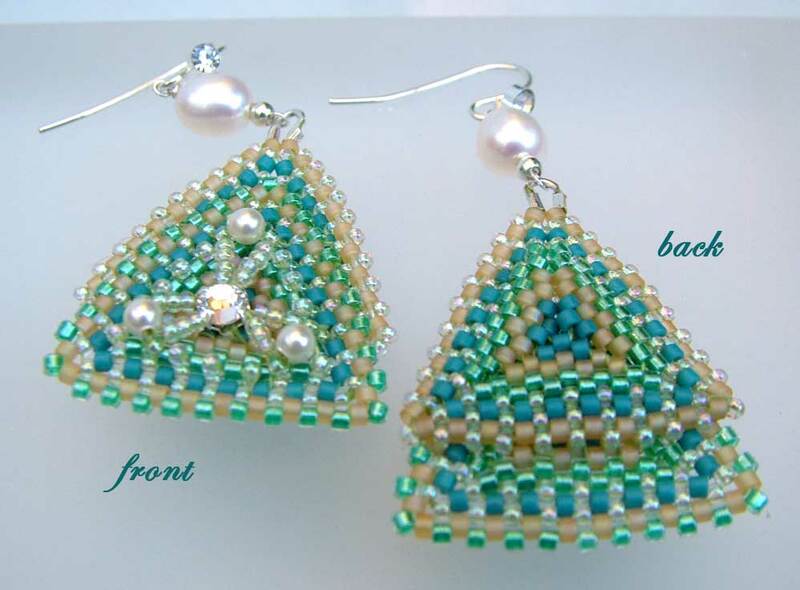 This jewelry set has been created upon the request by a dear friend. She was originally contemplating a set with necklace, earrings, and bracelet. Unfortunately I have run out of some of these seed beads - in particular, the ones that I had purchased a long while ago and which is now no longer replaceable. 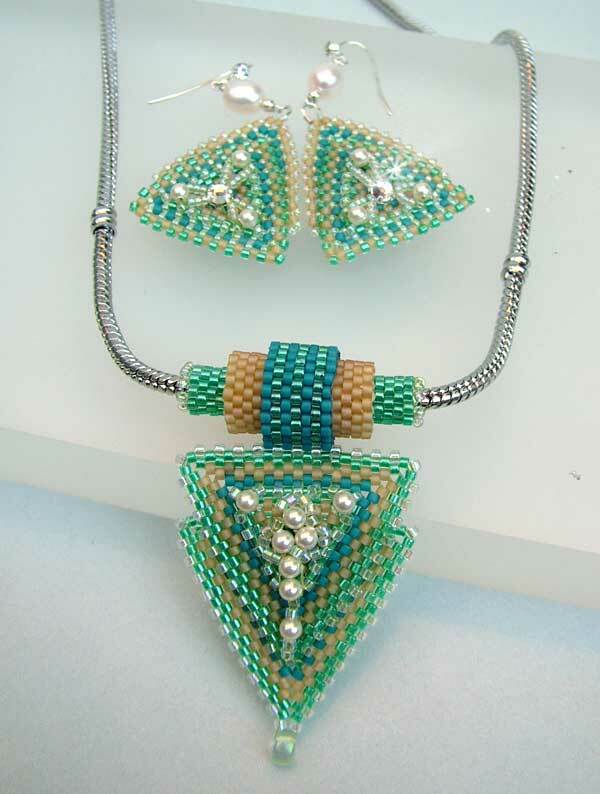 This jewellery set, comprising of beaded necklace/pendant and a pair of matching earrings is yet awaiting the review of the requester. 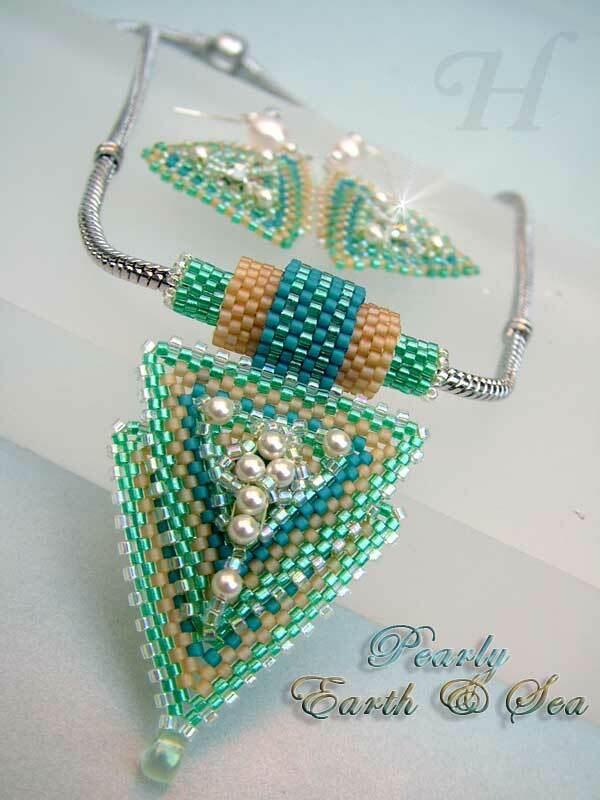 "Pearly Earth & Sea" commissioned jewelry set. Here are some additional photos to give viewer a better look at the details. 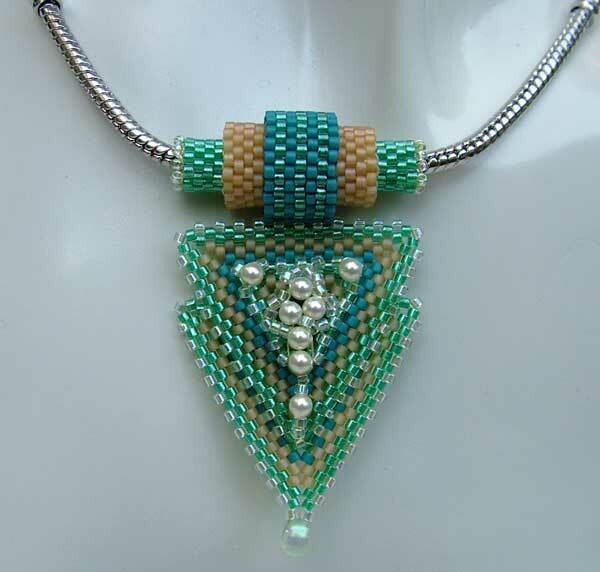 This set has been based on a tutorial by Heather Collin's "Butterfly Clasp". 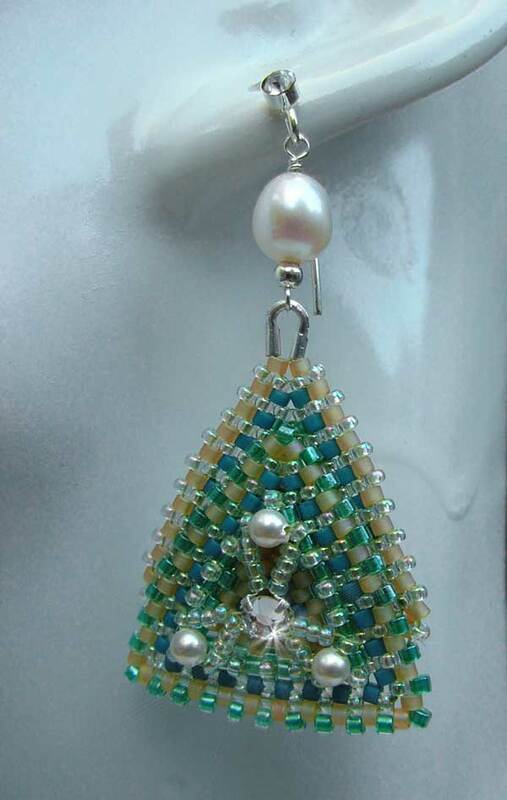 I adapted it and used the idea to make a pendant and earrings set. I have used this design idea before and actually thought I might have listed it here on this site. Unfortunately that does not seem to be the case at the moment. I must have posted it somewhere else - one of my many other sites. Silly me. This will have to be rectified at some later stage, time permitting. 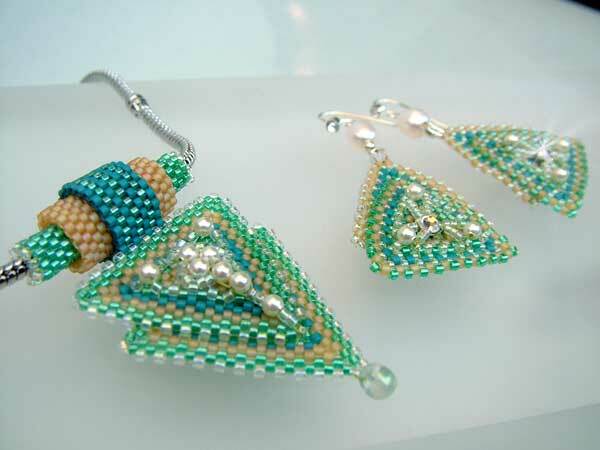 The main bead weaving stitch employed is Peyote stitch. The pendant is "tubed" around a rhodium plated chain. The snake chain is rhodium plated over copper - a high quality chain. Rhodium is one of the most expensive precious metals on the market (about 6 times more expensive than gold by weight). It is a rare metal, very hard with a high shine and silvery finish. Rhodium is virtually anti-tarnish. This next photo shows the front and back of the earrings.